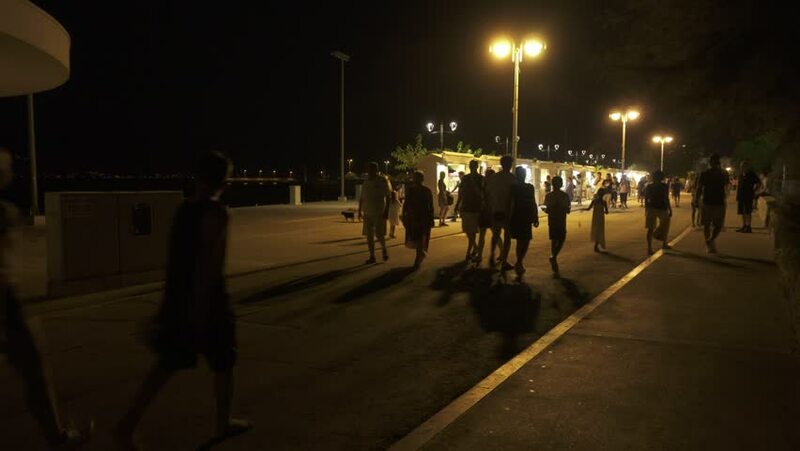 People walking at seaside promenade in Supetar, Croatia. Summer evening, night shot. 4k00:51MILAN, ITALY - CIRCA SEPTEMBER, 2016: (POV) Walking on the river of Naviglio Grande canal waterway in Milan. 4k00:30SHENZHEN, CHINA - CIRCA APRIL 2018 : Scenery of busy central area in SHENZHEN CITY at night. hd00:1918 JULY Malaga, Spain. Young guys are trained to ride a skateboard. Are happy the fact that their friend got a new trick. hd00:08Thessaloniki, Greece - April 14 2017: Good Friday Orthodox Easter Epitaph. Crowd with candles attend the Christian Orthodox Epitaph commemoration at night in the streets of Thessaloniki, Greece. hd00:11MUMBAI, INDIA - 12 JANUARY 2015: Busy street with traffic at sunset in Mumbai.